So you have a new yacht. Congratulations! Now what about the latest yacht gadgets? Now what are you going to do after getting this new toy? Why, get more new toys, of course! We've found a few cool gadgets you might want to get to make your yachting experience even more relaxing and pleasurable. 1. If there is one thing that can ruin your marine Internet-surfing experience, it is glare. It's not much fun if you have to stay indoors to be able to see what's on your computer screen. The very essence of yachting is that you get as much outdoor sun and sea breeze as possible. To take the glare off your computer screen, slip on a laptop screen shade. It slides on and off easily, folds for easy storage, and fits standard laptop and notebook screen sizes, namely, 13-, 14-, 15-, and 17-inch screens. 2. Not enough seats in your yacht for all of your guests? Carry the Sport-a-Seat along and give everyone a comfy place to rest their bottoms on. This light and portable seat has adjustable back support that you can put in six different positions, from upright support to full recline. It folds flat, so it doesn't take a lot of storage room inside your yacht. It comes in eight designer colours - black, toast brown, burgundy, Persian green, forest green, charcoal grey, pacific blue, and navy blue. One of these will surely match your yacht motif. It's water resistant too. Its marine-grade Sunbrella canvass cover repels water and dries quickly. 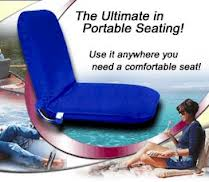 You can sit on it while wearing your wet bathing suit and the water droplets will simply roll off. The material resists mildew and has UV protection. And if it falls in the water? It will float, so you can easily retrieve it. 3. This is one of the latest yacht gadgets that is excellent. Speaking of falling in the water, it's not usually the big things that cause the biggest problems, because often, big things sink more slowly and are easier to find. But what if, for instance, your yacht keys fall overboard? That could be a bit of a problem - unless you have attached Waterbuoy to it. 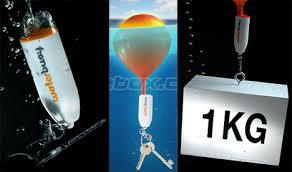 Waterbuoy is a keychain like device that contains a rugged orange balloon which inflates if the device hits the water. 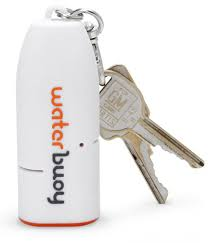 While the balloon is more than enough to show you where your keys are in broad daylight, you might need a little more help at night, so Waterbuoy also has flashing LED lights that are likewise water activated. This has to be one of the fantastic latest yacht gadgets can hold as much as 1 kg, so it is perfectly capable of floating even a set of 12 metal keys - or even your cell phone. 4. 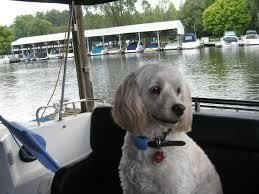 When you're in a yacht, you can never really run out of things that could fall overboard. It's one thing to lose your keys in the water; it's another thing to lose your dog - or your baby! 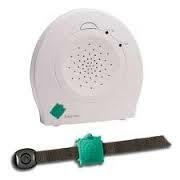 With the Safety Turtle alarm system, you will hear a piercing sound the moment the device gets submerged in water, and it continues to sound this alarm until you reset it. The device is ruggedly designed to withstand your child's or pets normal activity. People who don't have yachts but have swimming pools at home may want to attach one of these to their children as well. Speaking of water safety, remember that it is not just your yacht passengers that you need to keep safe and these latest yacht gadgets will help. You need to protect your yacht as well. 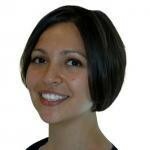 To do this, there is nothing more efficient and effective than getting good yacht insurance. Find a broker online today and ensure that your yacht gives you your much-deserved pleasure and relaxation for a long, long time.